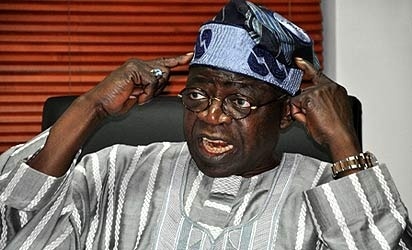 Some youths in the northern part of Nigeria under the aegis of Northern Youths Movement (NYM) have accused All Progressives Congress (APC) leader, Senator Bola Tinubu of being the brain behind the call for the resignation of President Mohammadu Buhari, saying Tinubu was gradually unfolding his actual agenda to hijack the presidency. A group, which called itself The PDP Media Watchdog, had reacted to the statement credited to President Muhammadu Buhari, declaring and admitting that his age will affect his performance rate as President of Nigeria by urging the president to resign from office. Already, the Peoples Democratic Party (PDP) had disowned the group, saying it was unknown to the party and had no connection whatsoeverwith the party at any level. In its reaction, the NYM in a statement signed by its Protem Chairman, Mallam Ishaya Jato alleged that the press statement credited to The PDP Media Watchdog actually emanated from Tinubu’s media office in Lagos. The northern youths said the statement was released to gauge the pulse of the public on Tinubu’s larger agenda ofINSTALLING his crony, Prof Yemi Osinbajo (SAN) as the president of Nigeria. NYM disclosed that it was part of the agenda to cut short Buhari’s tenure that Tinubu desperately wanted to hijack the Senate and House of Representatives byINSTALLING his cronies as Senate President, Deputy Senate President, Speaker and Deputy Speaker of the House of Representatives. “The comment made in South Africa by President Buhari, regarding his age was deliberately hyped by Tinubu’s hatchet men in the media and the call for the president’sREGISTRATION was aimed at gauging the reaction of Nigerians. “Also, we are aware that Tinubu’s camp is working on the possibility of President Buhari not completing his term, either due to failing health or death. “However, we youths in north are aware of his (Tinubu) plot against the north and we wish to tell him that we are watching. “He has failed in his attempt to hijack the National Assembly and use it to impeach President Buhari and we want to assure Tinubu and his cronies that President Buhari will not only complete his tenure, he will go for second term,” NYM said.